Only 3.4 percent of plays on American stages are written by women of color, according to a study conducted by the Dramatist’s Guild and the Lilly Awards. This ethnic and gender parity has kept many women from making a viable living in the theater, but Kenny Leon’s True Colors Theatre Company wants to change that. This is why it is continuing its commitment to telling African American stories by devoting its upcoming season to black women. Artistic director Jamil Jude sat down with ARTS ATL for an exclusive interview about what he has planned for his first season at the helm of Southwest Atlanta’s professional theater. 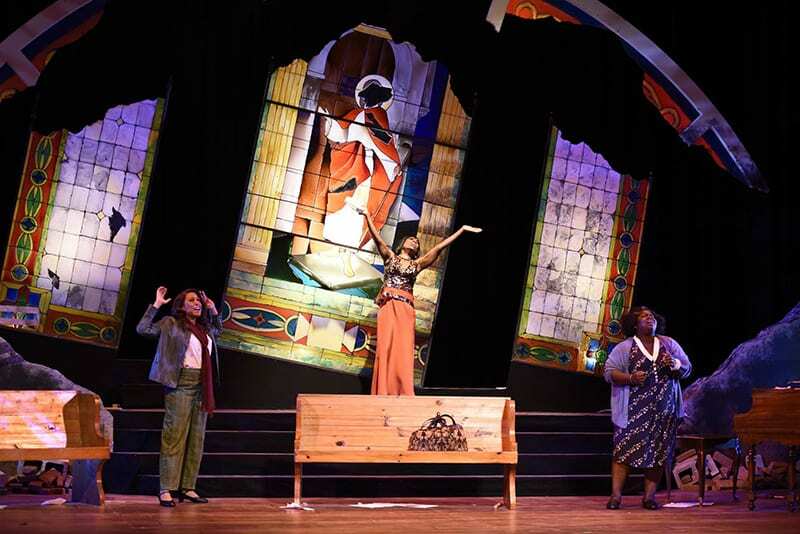 The theater is branding it as the season of the “She Griots” since each show examines a different aspect of black womanhood. The three plays in the season are the drama Paradise Blue by MacArthur Genius Award-winner Dominique Morisseau, about a jazz trumpeter and the woman who calls up his vices; the hit Off-Broadway comedy Schoolgirls; or, the African Mean Girls Play by Jocelyn Bioh, set in an all-girls boarding school in 1980s Ghana; and the semi-biographical musical Marie and Rosetta by George Brant about legendary gospel singer Sister Rosetta Tharpe and her eager protégé Marie Knight. 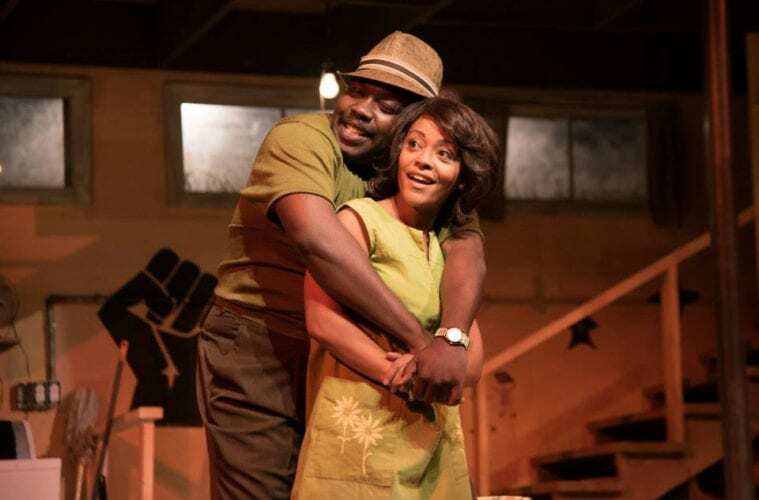 True Colors has staged plays in Atlanta’s Southwest Arts Center for the last 16 years, drawing in audiences by telling authentic stories about African American life. 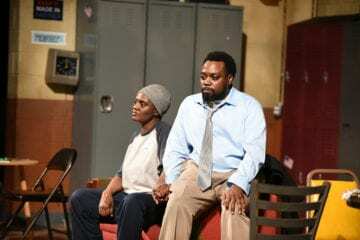 It has developed a national reputation for producing a number of Pulitzer Prize-winner August Wilson’s plays; the theater started with a production of Fences. Jude joined True Colors as associate artistic director in 2016 — his first show was Wilson’s King Hedley II — and succeeded founding artistic director Kenny Leon last fall. Jude sees producing the season of “She Griots” as a way to honor the traditions that launched the company but also to move it forward. “I want to present us as a place to have important conversations; I want True Colors to be a culturally relevant arts organization,” says Jude. Details about the shows in the 2019–20 season are below. In Detroit’s Black Bottom neighborhood, Blue contemplates selling his bar, Paradise Lounge, where his jazz band has been playing for years. However, the arrival of a mysterious woman named Silver thwarts his plans and could change the trajectory of his future. For fans of True Colors’ productions Skeleton Crew and Detroit 67, this is a welcome treat to wrap up Morisseau’s Detroit trilogy. It’s 1986, and Paulina is the queen bee with a mean sting at the Aburi Girls’ Senior High School. She has dreams of representing Ghana in the Miss Universe Pageant, but the arrival of a black American girl with lighter skin seems to threaten her ambitions. Set to the tunes of Whitney Houston and New Edition, and inspired by films like Legally Blonde and Mean Girls, this comedy examines what it means to be a teenage girl in a world with warped beauty standards. A female gospel singer wielding an electric guitar is a rare sight nowadays, and in the 1940s when Sister Rosetta Tharpe was performing, it was simply unheard of. In Marie and Rosetta, the playwright reimagines a conversation between Rosetta and her protégé Marie Knight as they prepare for a world tour. Through music, the women navigate everything from overcoming segregation to the foibles of fame. 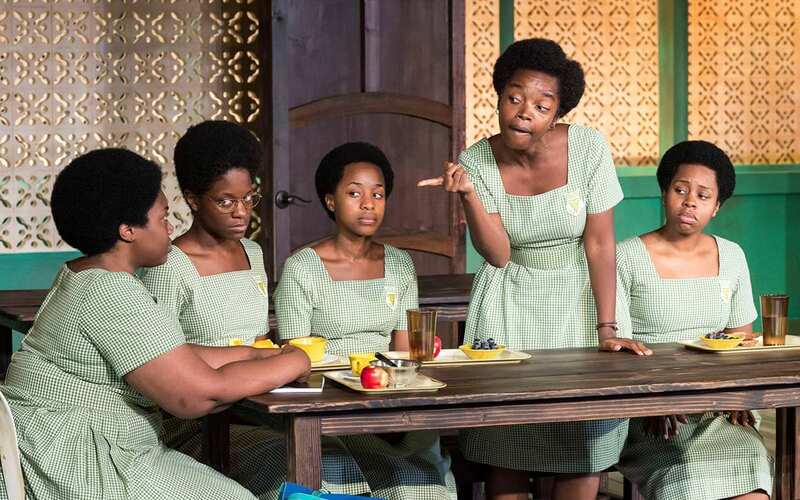 Marie and Rosetta will feature an all-black female cast and creative team. In addition to the plays, True Colors will continue to host its Related Reading series where professional actors read new plays with similar subject matter to the works onstage. It will also host Community Conversations, which connect the themes of each script to pertinent social issues. For more information, visit truecolorstheatre.org.